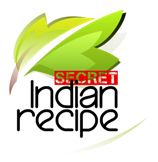 Home » रोस्टेड पोहा चीवडा बेसन फ्लेवर के साथ एकदम नई स्टाइल से l Roasted Khatta Mitha Poha Chivda Recipe . रोस्टेड पोहा चीवडा बेसन फ्लेवर के साथ एकदम नई स्टाइल से L Roasted Khatta Mitha Poha Chivda Recipe . Roasted khatta Mitha Poha chivda... This is my new style quick and tasty snack made from poha (flattened rice),Roasted Besan (Gram Flour) which gives extra flavours , dry coconut, peanuts, and spices. this version of rosted khatta mitha poha chivda is made mostly during anytime as a savory snack. It has the crisp texture preparing chivda is one easy task as the recipe is simple and a quick one. heat a wide, thick bottomed pan or kadai with a handle. keep the flame to a low. then add 2 cups of thin poha or rice flakes in it. roast the poha. gently shake the pan so that the poha gets evenly roasted, as constant stirring with a spoon might break the poha. since they are papery, light and delicate. within 3 to 4 minutes the poha flakes will change their texture and become crisp. don't roast the poha on a high flame. since on a high flame, the poha may get browned or burned. don't brown the poha. remove the roasted poha on a plate and place aside.